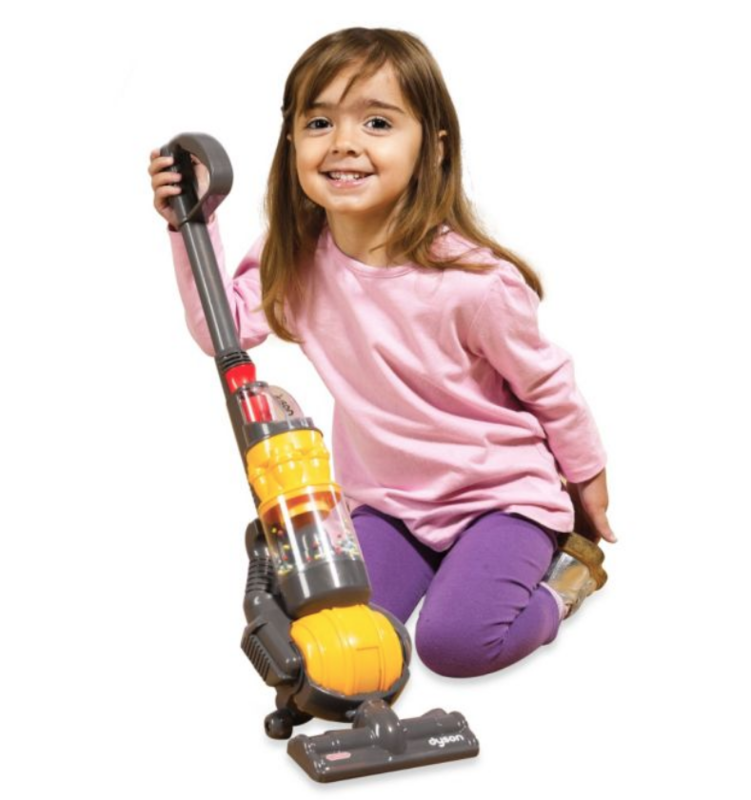 Dyson has made a smaller, battery-operated version of their famous ball vacuum, with actual suction power, for children. Don't get too excited, it's not time to pass off your heavy-duty floor-cleaning chores to your child. This toy is only capable of sucking up "small pieces of paper or polystyrene balls." But for just $30, it'll be nice to put Junior to work cleaning up all those pesky fortune cookie fortunes and piles of poly balls off the floor.